Can We Accept a Canonical Recognition Proposed by a Neo-Modernist Authority? The answer is not self-evident. Indeed, for years Msgr. Lefebvre envisioned an accord as though it were possible; furthermore, he took steps in this direction, it being before 1988, let us not forget. Before answering, it is first necessary to define the terms of the problem, because there is talk here and there of an “accord” or “canonical recognition“. The etymology of this word indicates a harmony of hearts. The current sense of this word, in this context, is that of an “arrangement among those who are in agreement” (Petit Robert French dictionary). The same dictionary, defining the expression “in agreement,” says [“to be in agreement“]: “To have the same opinion, the same way of thinking, or the same intention (to work in the same direction, make a common cause, walk hand-in-hand as a single person, to be united).” In other words, an accord designates a community, be it in thought or action. If one applies this to the relations between Rome and the Society of St. Pius X, as well as to the associated communities, the accord can be doctrinal or practical. After the Second Vatican Council, a doctrinal ditch was dug between the Catholic hierarchy and the faithful who remained attached to Tradition. Thus there is no longer accord but divergence on questions of faith. After fifty years, neo-Modernist Rome is forced to reestablish an accord and lead the faithful of Tradition toward the doctrine of Vatican II; there is accord when they adopt the new doctrines. Msgr. Lefebvre and his successors were forced to bring the Roman authorities back to the traditional doctrine; in other words, they sought a doctrinal accord in the truth, which supposes the conversion of neo-Modernist Rome. This is to say that it does not concern doctrine, because the two parties diverge, but action; one seeks an arrangement to live together, each remaining what it is. But action is governed by law. Thus, such an accord is sealed by a canonical structure conceded to the communities of Tradition. Is this modus vivendi possible without the latter changing doctrine? In fact, concretely, this has never existed, as the history of the successive accords since 1984 proves. * or these same authorities, having returned to Tradition, recognize the canonical statute that the SSPX and associated communities already have, after having denied its existence (because the suppression of the SSPX in 1975 means nothing, and the erection of associated communities draws its legitimacy from the state of necessity – supplied jurisdiction applies here in this case). An accord supposes that the two parties “are in agreement“. If one works for a practical agreement, one seeks an arrangement, modifying the conditions as needed, until one reaches an agreement. What is a Canonical Recognition? The current sense of the word “recognition” (in the context which concerns us) is “the fact of admitting (something) after having denied or doubted it“. More precisely, it is the “action of formally, juridically recognizing. […] Recognition of a government, by which a State recognizes the legality of a government arising from a revolution” (Petit Robert French dictionary). A Canonical Recognition is the granting of a canonical structure by the ecclesiastical authority to an entity that does not have it. In reality, one speaks rather of an “approbation” or “canonical recognition” of an Institute. If one uses the term “recognition” here, it is because of the particular situation in which we find ourselves: the Pope recognizes the juridical existence of communities that already exist. However, in the mind of the Roman authorities, these communities do not currently have any juridical existence. For example, the aforementioned authorities do not recognize the vows of these religious as public vows but they consider them private vows. 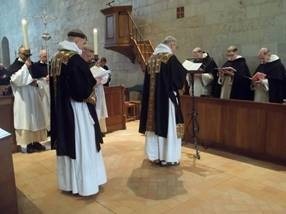 On the occasion of various accords (at Le Barroux [Benedictine community of Dom Gerard], at Papa Stronsay [Redemptorist community of Fr Michael-Mary], it was necessary for the members of these communities to renew their vows in the hands of the local bishop or of a representative from the Holy See. Consequently, in the case of canonical recognition, it will be necessary to examine closely these circumstances. If the Holy See, either by words or actions, declares a work legal that until then it judged illegal, to accept this line is ipso facto, despite later rectifications, to admit that the aforesaid work was illegal. Implicitly, it denies the state of necessity that has legitimized our resistance to the self-destruction of the Church. The first consequence is that the recognized institute acquires a legal personality, thus a certain autonomy in its internal government. The second consequence is that this Institute depends more closely on the local bishop, if it is a diocesan Institute, or on the Holy See if it is an Institute of pontifical right. In the latter case, the Institute is removed from the vigilance of the bishop in anything that regards its internal government. The reason for this vigilance (of the bishop or Rome) is that it is necessarily under the direction of the hierarchy of the Church that the institutes led their members to Christian perfection. Is this canonical dependence toward the neo-Modernist authorities compatible with the preservation of the faith and its public profession? The local bishop is responsible for all the faithful in his territory. Consequently, the entire apostolate of the priests—including those of the members of the exempted institutes—is ruled by the bishop and is exercised under his dependence and vigilance. This is why Msgr. Lefebvre, envisioning the regularization of the works of Tradition, examined which structures could allow for continuing the apostolate beside the faithful in a certain independence from the bishops. This supposes the Institutions fall directly under the jurisdiction of the Pope. Let us especially examine the case of a personal prelature, which is still on the agenda of Rome and of the Society. The Second Vatican Council inaugurated personal prelatures. They are “jurisdictional entities, erected by the Holy See as instruments within the framework of the pastoral hierarchy of the Church, for the realization of particular pastoral or missionary activities“. These pastoral tasks are addressed to particular groups of people. So things are done orderly, the prelatures should be made known to episcopal conferences, before their erection, to coordinate their work. At the head of the prelature is a prelate who has jurisdiction over the faithful upon whom particular pastoral activities are exercised by the priests of the prelature. However, to be able to exercise its apostolate in a diocese, the prelature should have obtained the preliminary consent of the local Ordinary. The personal prelature is thus an auxiliary of the diocesan clergy. The faithful who benefit from its apostolate are thus submitted principally to the local Ordinary and, in addition, to the prelate of the personal prelature. This concerns the prelatures envisaged by the 1983 code. To tell the truth, the structure foreseen by the SSPX and by its related communities will enjoy, it seems, an almost complete independence with respect to the bishops; in any case, this independence will be much greater than that of the Opus Dei. Nevertheless, it cannot be complete, because by divine right the diocesan bishop is the head of the territory confided to his care. 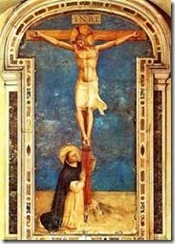 Also, the simple juridical recognition implies all this: by the recognition of the Institutes, there is a dependence on the Holy See, normally on the Congregation for Institutes of consecrated Life (although the Holy Father is free to associate them with another congregation); for the erection of personal prelature—if applicable—there is a dependence on the Congregation for Bishops; then, a certain harmony with the local Ordinaries is necessary. Finally, the prelature depends on the Roman Congregation for Bishops. This is an expression that is frequently heard recently. What does it mean? A recognition can be bilateral? We limit ourselves to the case of a canonical recognition: the recognition is the act of who recognizes. Yet, who recognizes the traditional communities? The Holy See. It is not we who recognize the latter and who give it a canonical structure. Consequently, a canonical recognition is essentially unilateral. So, why the pleonasm? On the one hand, this expression seems to mean that the act of the pope would be without “doctrinal compensation“. The proposed canonical structure would not be accompanied by a preliminary doctrinal declaration to sign. In this case, it would be better to speak of a “canonical recognition without a doctrinal compensation“. On the other hand, this expression gives the impression that the works of Tradition will be regularized despite them, that they will not be for nothing, and that they will not be able to refuse. This brings us to a third possible sense of the expression “unilateral recognition“: it suggests that there would not be a compensation on the practical level; everything would continue as before, without any change, if only we would be officially recognized. This masks an aspect of capital importance, which is the effective submission to Roman authorities, and the inevitable influence that these would exert on us. Indeed, law is never “unilateral“; it rules the relations between persons (physical or moral) in view of the common good, thus the relations between superiors and subjects. It is inconceivable to imagine a subject who only has rights and a superior who only has duties; this would be revolutionary. Thus, the subjects necessarily have duties toward their superiors. So, if the superiors grant something, even more so do the subjects concede their submission; the right is thus essentially bilateral. Whence the question it will be necessary to examine: Does not this dependence risk leading to a doctrinal agreement on the Council? This expression indicates the act of a Pope who, seeing that the negotiations with the Congregation for the Doctrine of the Faith are stalemated, would pass over any doctrinal, canonical, or liturgical condition. It would be a recognition above all of the facts than by way of legal or canonical right. The Pope has already begun in this direction (notably in conceding the jurisdiction for confessions, then the recognition of the priestly ordinations, and now of the marriages). We remark that what is called “de facto recognition” has some juridical consequences. Indeed, to declare that the confessions of the priests of the Society are valid amounts to saying that they are legal, conforming to the right, to the law. Although the Pope does not explicitly say: “I give jurisdiction to these priests,” it is a matter of delegated jurisdiction; in fact, it is he who set the duration of it (at first in restricting it to the limits of the year of mercy, then in deciding to continue it afterwards). What was done for confessions has now been done for other acts of the ministry of the priests of Tradition. It is a sort of “piecemeal” or “step-by-step canonical recognition“. What the distinction between “de facto recognition” and “legal recognition” could indicate is the difference between the phase where some aspects of the ministry of the priests of the Society are recognized as legal, and the other phase where all the aspects of their ministry would be (which necessarily implies a juridical statute, because one cannot be associated with a Society without following its law). And it is only in this phase that the submission to the Roman authorities would become effective. This distinction suggests that there could be a total recognition of the legitimacy of the Society without a dependence on the current Roman authorities, which is impossible. It is better to speak of an “ongoing canonical recognition” or an “ongoing canonical regularization” than of a “de facto recognition” as St. Thomas said, II-II q. 1 a. 3 : « Movements are specified by their terminus, and receive their name from it. For example, a casserole that heats on the stove warms, tending toward the state of heat in stages ». So here, according to the Roman authorities, the term is the canonical statute. The movement that leads there is the canonical regularization. Consequently, the movement where we find ourselves is an ongoing canonical regularization. As it is now understood, the term “agreement” generally designates a practical agreement, with or without a doctrinal declaration (the current project includes one). The canonical recognition is included in the practical agreement. But why make all these clarifications of vocabulary? They are necessary if we want to be “children of the light“. In her language the Church supremely adheres to clarity of words. Firstly in the expression of dogmas; but this holds true in all the teaching of the Church, from encyclicals to the simple children’s catechism course. Alas! Modern Rome has abandoned this clarity. It would above all not be necessary to let it impose vague language on us. This is thus the objective of these reflections: to establish clarity of language. It is necessary to call a spade a spade. If a canonical recognition undergoes negotiations where each side makes accommodations, it is necessary to call that an “agreement“. For example, the regularization of the priests of Campos 5 (Brazil) was an agreement. When signing, Abbé Rifan said: “This is not an agreement; it is a recognition.” He implied that Rome recognized the validity of Tradition, which was false. The faithful believed Abbé Rifan, and cried for victory. They have been deceived. We would prefer to cast aside the expressions “unilateral recognition” and “de facto recognition” and simply speak of a “canonical recognition, with or without a doctrinal compensation“; things will thus be much clearer. 1 — Brazilian bishop consecrated by cardinal Castrillon-Hoyos, successor of Msgr Rangel consecrated by the bishops of the Society to succeed to Bp de Castro-Mayer (note of the Editor). 2 — Ruled bt Fr Thomas Aquinas, now Bp Thomas Aquinas, in Brazil (note of the Editor). 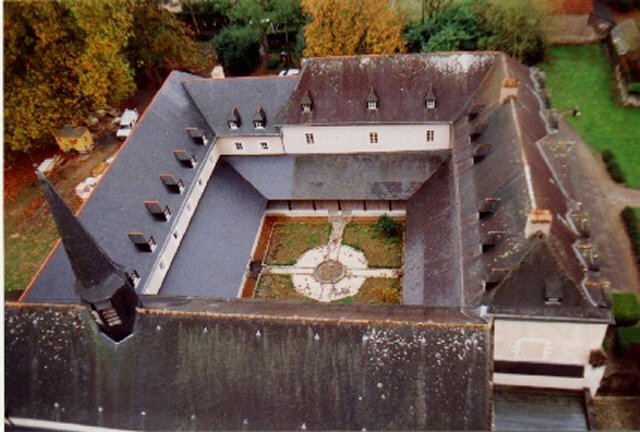 3 — Superior of the benedictine of the Monastery of Le Baroux in France (note of the Editor). 4 — Famous convert from Judaism in France in the 19th century, who converted with his brother. Both became priests, and worked for the conversion of the Jews to save them (note of the Editor). 5 — Former diocese of Bp de Castro-Mayer (note of the Editor). 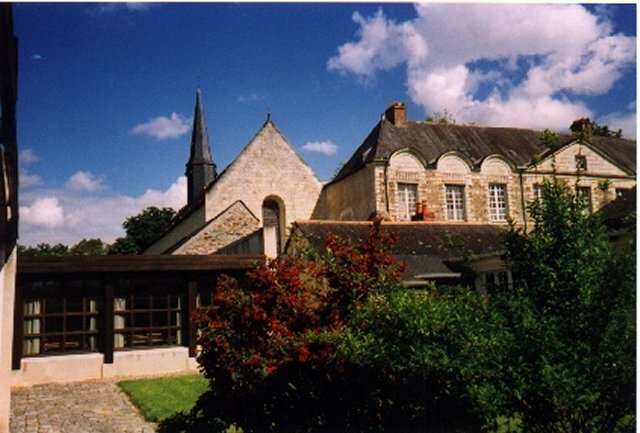 When Archbishop Lefebvre founded the Society of Saint Pius X in 1970, he had obtained its canonical erection as a “pious union” from Bishop Charrière of Fribourg, Switzerland. The Archbishop’s work remained canonically recog­nized for five years. From that point forward, the dividing line between the two “churches” was drawn. Shortly after, the “Rome of neo-Modernist and neo-Protestant tendencies” was given the name of the “conciliar church” by Bishop Benelli [letter addressed to the Archbishop on behalf of Pope Paul VI]. It has kept this name ever since. This “suppression” was therefore consid­ered as null and void by Archbishop Lefebvre and all those who follow the rules of the Catholic Church, whereas it was deemed valid by the representatives of the conciliar church. Recently, however, there has been more and more talk of a “canonical recognition” of the SSPX from the present authorities in the Vatican. Can such recognition be accepted? Per se, canonical regularity in the Catho­lic Church is something that is good, and even necessary. Archbishop Lefebvre sought this reg­ularity in 1970, and obtained it. Nevertheless, today, if a canonical recognition were to be ac­corded, it would be in the framework of the new Code of Canon Law. It is in this framework that the Pope has granted jurisdiction for marriages celebrated by priests of the SSPX. — It would make us enter into the con­ciliar pluralism, with Tradition being recognized on an equal footing with the Charismatic move­ments, the Focolari, Opus Dei, etc. This would put Truth on a par with error, at least in the public opinion. — It would bring into our chapels faith­ful who are determined to remain conciliar, modernist and liberal, along with all that this implies regarding their lifestyle (because bad ideas lead to bad morals). — It would necessarily reduce any at­tacks against the errors professed by the authori­ties under which we would then directly find ourselves. It’s rather easy for all to see that the superiors of the SSPX have already diminished their criticisms of the present errors coming from Rome (Year of Luther, Amoris Laetitia, etc.). —Lastly, such a canonical recognition would place us directly under the authority of superiors who are themselves under Freemasonic influ­ence. Indeed, various studies published in Le Sel de la Terre have shown that the conciliar church is an instrument in the hands of Freemasonry to force Catholics to work toward the establishment of the New World Order, willingly or not. (See the editorial n° 101, summer 2017.) Providence permitted Archbishop Lefebvre and those who followed him to be exempt from this Freema­sonic influence: it would now be a grave impru­dence to subject ourselves to it voluntarily. Freemasonry was born exactly three centuries ago (June 24th, 1717). After having destroyed all the Christian states (with the revolutions of the 18th and 19th centuries), and subjugating the Church (with the plan of the Alta Vendita, accom­plished by Vatican II), will Freemasonry succeed in spreading its influence over the work of Arch­bishop Lefebvre? This would certainly be its ap­parent triumph on earth. Consequently, a “canonical solution” can only be foreseen in the case of a Rome that has converted doctrinally. Moreover, this conversion will have to be proven by concrete efforts to work for the social reign of Our Lord Jesus Christ, while fighting against the adversaries of this reign. This is not the first time that Satanism has invaded Christianity. In the 15th century, the Renaissance, which was the first manifestation of the anti-Christian conspiracy, was preceded by an extraordinary development of magic. It grew everywhere that Protestantism took hold, and this led to an epidemic of witch­craft that throughout the 17th century was a night­mare for Germany, England and Scot­land, while the Latin countries remained practi­cally untouched. The Revolution, as well, was preceded by a fever of Satanism. Magnetizers, necro­mancies, as they were called, showed up everywhere. The corrupted nobles had themselves initiated in rites where Satan was invoked, and in the towns as well as in the cities people gave themselves up to all kinds of occult practices. August 16th: After a beautiful feast of the As­sumption, with its Solemn High Mass and proces­sion, it’s time for Father Reginald and our two Brazilian Brothers to leave on a month-long mis­sion to Brazil: a total of 2,500 miles by car visit­ing the faithful of various Mass centers. September 2nd and 3rd: Five Fathers attend the annual Chiré-en-Montreuil book fair, in or­der to represent our community. A conference given by Fr. Louis-Marie was a good opportunity to make known to the public some of the various books and articles published this year by Le Sel de la Terre concerning the Protestant Revolution and its disastrous effects on souls and society. A group of several students from the Boys’ School came along to help out the organizers. September: Back to school for the children… and for the Fathers and Brothers who take care of the Primary school, the Boys’ school, Our Lady of Fatima youth club, etc. September 4th: Fr. de Mérode comes to stay for the week, for his annual retreat. September 10th: Fr. Marie-Dominique gives a conference on Saint Dominic for about 30 mem­bers of the “Friends of the Sacred Heart,” a youth group of the Combat for the Faith. September 11th: Three of our tertiaries from the Czech Republic are among us for several days, happy to immerse themselves in the prayerful atmosphere of the Friary, and the Dominican Liturgy. September 14th: Father Marie-Dominique leaves to preach the start-of-the-school-year retreat for the seminarians of St. Louis-Marie Grignion de Montfort Seminary. It’s also the official start of the school year for our student brothers. September 23rd/24th: Third Order meeting in Chartres/Paris. In the weeks to follow, Brittany, Alsace, Lyons, and Avrillé will have their turn at starting up a new year of activities. October 25th: We have the pleasure of re­ceiving H.E. Bishop Zendejas for a few days be­fore he goes on to Fatima for the pilgrimage of Christ the King. November 13th: Arrival of Br. Agostinho O.S.B., from H.E. Bishop Thomas Aquinas’ mon­astery in Brazil, for two months of rest. 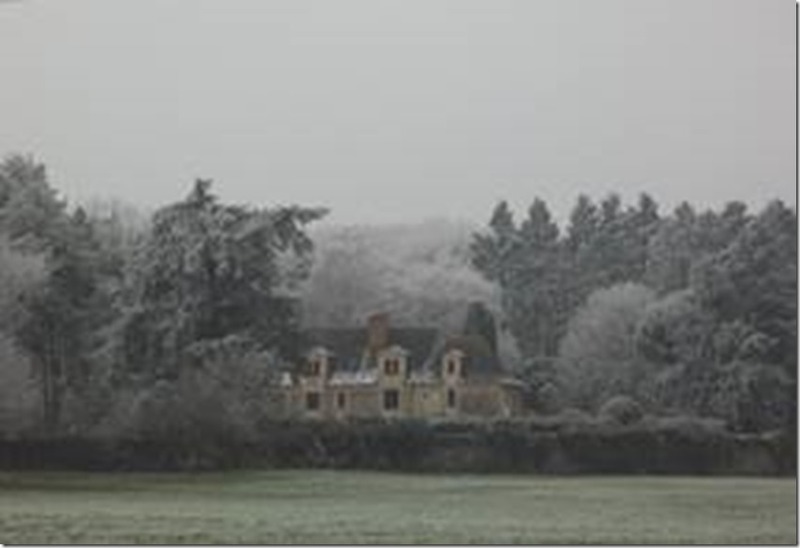 December 22nd – January 7th: Fathers Marie-Dominique and Angelico, accompanied by Br. Alphonse-Marie, travel to various Mass centers in North America. It was the occasion to visit our tertiaries, friends and benefactors, as well as to help out Bishop Zendejas for the Christmas ceremonies. On the list: South Salem, NY (NYC area); Emmet, KS; Houston, TX; Northome, MN; Newman Lake, WA; Buffalo, NY; Winnipeg, MA (Canada). Congratulations to the five tertiaries who made their profession in presence of the Fathers during this trip! We don’t have much news to tell for the moment, except that our building project has been accepted by the municipality. Thanks to your help, we have already gathered a good part of the funds necessary to start building. The preliminary work (surveys, soil tests, entry roads for the construction vehicles, etc.) should be able to start in the next few weeks. Thank You! 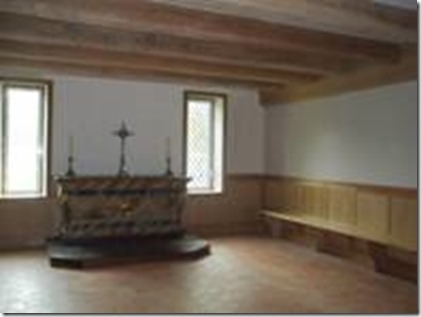 The finished Chapter room, with its new altar.